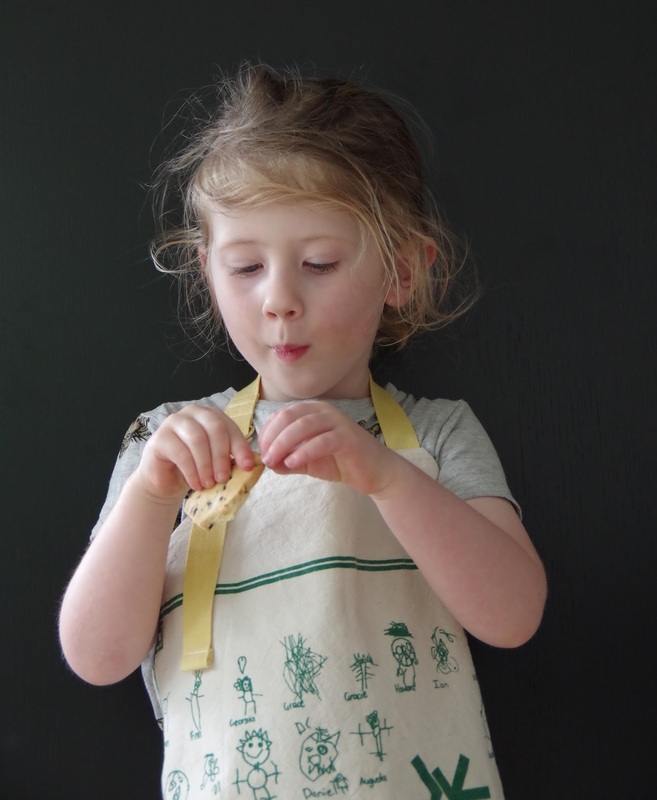 A new apron for Gus - just like this one - made from her kindergarten fundraiser tea towel. It's very cute with each child's self-portrait printed on it. And cranberry shortbread cookies. The recipe is available in Donna Hay's The christmas issue Dec/Jan 2018. Really good. I made them to take to a thanksgiving dinner at the across-the-road neighbours. A nice christmas gift too for family, friends, or neighbours.